Carol Sebold moved to the Maine coast from Toledo, Ohio. 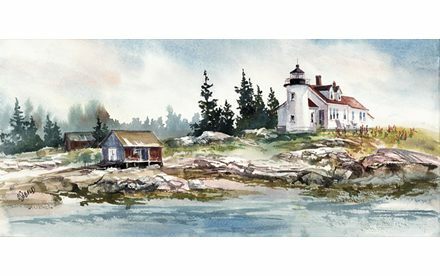 In addition to producing her atmospheric watercolors, she taught painting on land, on the Schooner Roseway, and through an instructional video. Many of her images are available in signed and numbered limited edition reproductions. Her remaining work shows at Gallery at Saturday Cove, Northport, ME.